Rumblings of a cheap iPhone have been around for months, but what started as analyst prediction and tech-web heresay is looking more concrete by the day. The last few weeks have seen the release of leaked parts from the cheap iPhone as well as detailed renderings of what the upcoming low-cost iPhone may look like. Current information indicates that the budget iPhone will feature a 4-inch screen and be made predominantly from a polycarbonate (plastic) material, rather than the aluminum which encases the iPhone 5. Design-wise, the cheap iPhone will not be as slim as the iPhone 5 – but will instead more closely resemble a slightly larger variant of the iPhone 4. The cheap iPhone will however still feature the new lightning connector and bottom-facing headphone jack. According to a recent report from Techdy, the cheap iPhone will come in a number of color variants, including blue, pink, yellow, green and white – just like the iPod. Apple are widely expected to be launching the upcoming iPhone 5S in September or October of this year, with the cheap iPhone to be released alongside. While still an important product for Western markets, the low-cost iPhone will primarily be aimed at emerging markets. 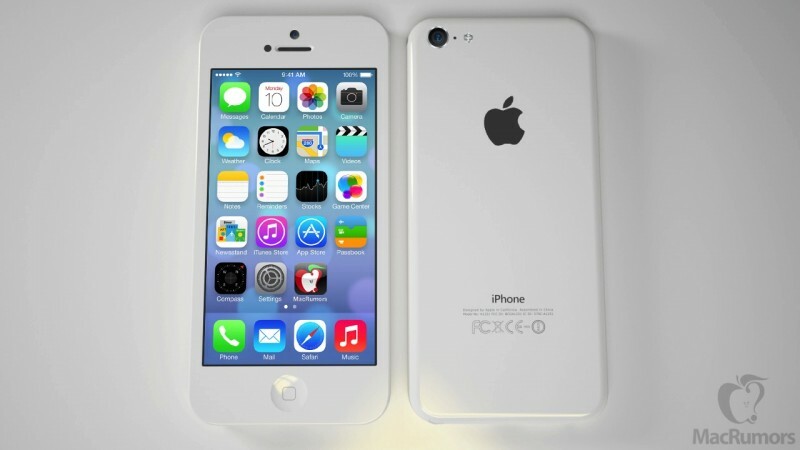 The cheap iPhone release date is also set to coincide with the release of Apple’s new mobile operating system iOS 7. What are your thoughts on the cheap iPhone? Let us know in the comments below.